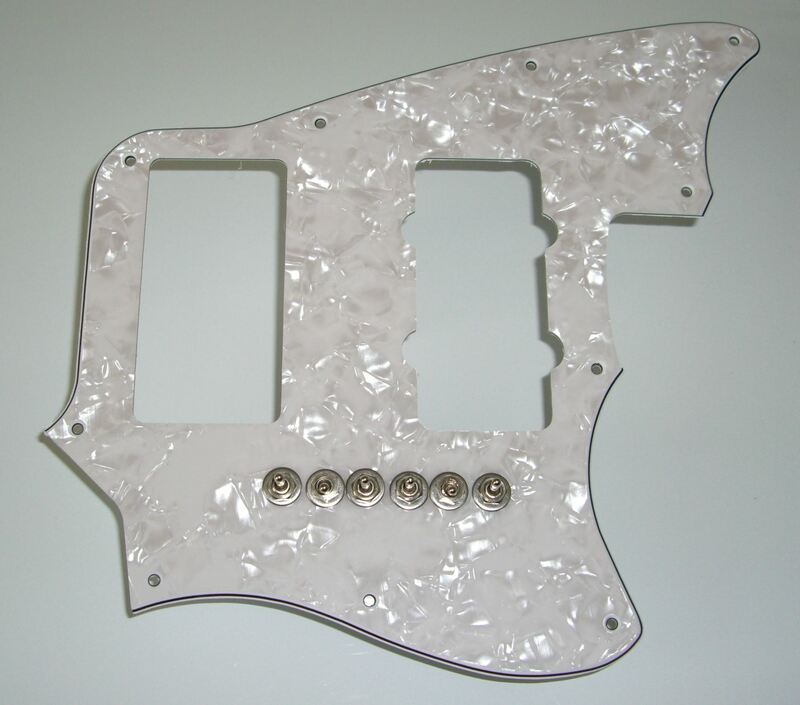 This White Pearloid upgrade is for your Modern Player Marauder guitar. This upgrade product gives you 68 pickup tones. Now you can Soup Up your guitar to get more pickup tone power and also increase your creativity and versatility with dozens of additional fresh new pickup tones. Your stock guitar is designed to give you a modest and inadequate 5 pickup tones. Don't you think it's worth a few dollars more to get a Grand Canyon Wide range of 68 Blues, Jazz, Metal, Surf, Country  plus the dozens of new and different pickup tones your stock guitar simply cannot produce? This high performance upgrade gives you the ultimate in performance at the lowest cost. You mount the upgrade and start exploring all the pickup tones now available to you. Switch S5B: Puts pickup coils #1 and #2 into a Series circuit when Up. Both pickup coils MUST be On. Switch S5N: Puts pickup coils #3 and #4 into a Series circuit when Up. Both pickup coils MUST be On. The various combinations of all of these switches will give you 68 pickup tones. Depending on your level of ability, it will take you about 60-90 minutes to follow the downloaded Installation Instructions and connect your pickup wires to the solderless terminal strip. After the upgrade, a HUGE alternate tone dimension will instantly open up to you. Special Note: This upgrade is more involved than our other upgrade products. You should review the Installation Instructions to determine if you feel comfortable doing this upgrade.